Prepared using the freshest ingredients, herbs and spices, Beira Alta pampers the palate with family tradition of cooking, passed down from generation to generation. 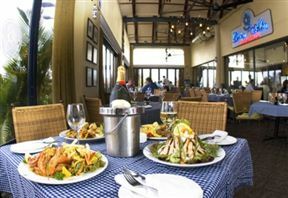 Located in the scenic coastal town of Ballito, this elegant and sophisticated restaurant delights with delectable Portuguese cuisine, embracing Continental and African influences. Enjoy a relaxed and tantalising meal soothed by the drifting sounds of smooth jazz and a romantic ambiance. Indulge in a variety of flavours and tastes starting with succulent prawns smothered in a melange of spices, olive oil, lemon juice and garlic and if red meat takes your palate, try the flame-grilled chicken and platters layered with scrumptious pan-fried prawns. Beira Alta Restaurant cooks from the heart and their passion for food will reunite a love affair with decadent Portuguese cooking and rich aromatic wines, for a sensational dining experience. Excellent food, excellent service and great wine. What more could one ask for. The peri-peri chicken is fantastic. Good looking chic restaurant for great evenings with good company. Beira Alta is 1.8km from the centre of Ballito , the nearest airport 13.6km (King Shaka International Airport).